Daguerre searching for new processes. 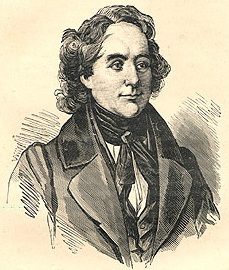 The partnership contract signed by Nicéphore Niépce and Daguerre stipulated: “In the eventuality of one of the partner’s demise, he will be replaced in the company for the next ten years by his natural heir.” Thus, after the death of Nicéphore Niépce, his son Isidore succeeded him in the company. But Isidore wasn’t Nicéphore. He was unable to reproduce his father’s processes. Daguerre made good use of this weakness. 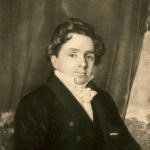 He let Isidore add failures upon failures, and secretely fine-tuned a new process that became a few years later the daguerreotype. Daguerre progressed in a steady manner. In 1835, he got positive images using far shorter exposure times than with heliography or the physautotype. In 1837, he managed to fix these images. Using techniques learnt from Niépce, associated with entirely original ones, Daguerre then possessed a complete process that produced images in a few minutes with the camera obscura. The heliography and the physautotype were already replaced even before their diffusion. Daguerre then offered Isidore to publish all three of the processes but knowing that only his own would be a commercial success, he imposed that the name of the Niépce-Daguerre company was changed to “Company under the trade mark Daguerre and Isidore Niépce to exploit the discovery invented by Daguerre and the late Nicephore Niépce”. So the invention became Daguerre’s with the name Niépce pushed to the background. 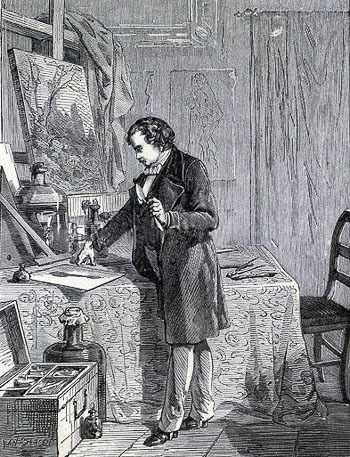 Studying the different means to exploit the inventions (patent, subscription…), Daguerre decided to demonstrate his process to François Dominique Arago, perpetual secretary of the French Sciences Academy. He was in awe with the invention and offered that the French government bought it, so as to present it as “a gift to the whole world”. 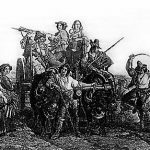 An annual life pension of 4000 francs was allocated to each of the inventors, meaning Isidore Niépce and Daguerre. The latter will perceive an extra pension of 2000 francs for his system of moving decor of the Diorama. 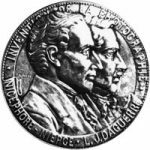 On Monday, 19th August 1839, the Sciences Academy divulged the processes of heliography, physautotype and daguerreotype. Arago’s presentation only briefly mentioned the two first ones, and barely referred to Niépce, whose name became forgotten soon enough. Only the daguerreotype was presented as having a future. 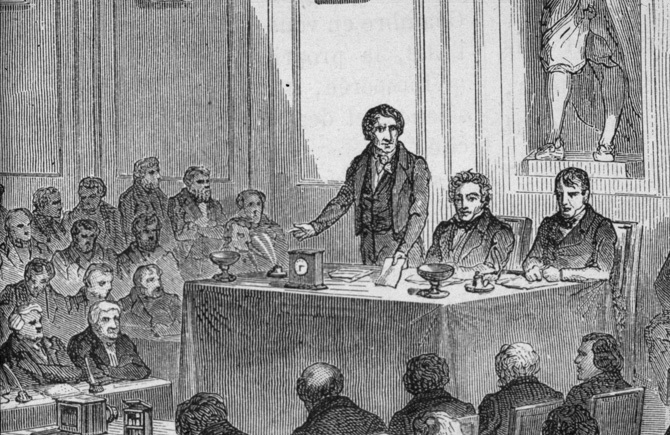 Annoucement of Daguerre’s invention, 19th August 1839. Within a few weeks, the process was improved and it became possible to make portraits. The craze was incredible. Dozens of shops opened in Paris, where anybody could come to be daguerreotyped. This was the so-called Daguerreotypomania that spread to the provinces, in Europe and especially in the USA, where Daguerre’s process lasted longer than anywhere else. Daguerre by now is famous all over the world. In the meantime, Nicéphore Niépce remained unknown to the larger public. Isidore published, in 1841, a booklet called “History of the discovery improperly misnamed daguerreotype, preceded by a note from its real inventor Joseph-Nicéphore Niépce”. 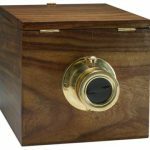 In it, the inventor’s son vented his anger against Daguerre and tried to justify his point of view regarding the successive changes that moved his father to a secondary role. This was the beginning of a long process that progressively rehabilitated Niépce’s name as being a significant part of the invention of photography, eventually recognizing him as the inventor ot photography.